Here you will find the many websites I have developed over the years. Some websites that I have developed no longer exists and will not be listed here. This is my original homepage. 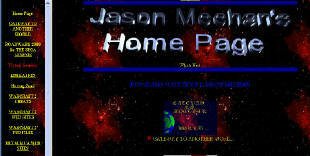 I first published this site back in 1996 when the web was just getting started. This site hasn't been updated in years, but is still available online for anyone to look at. I have over 350,000 hits on this site. 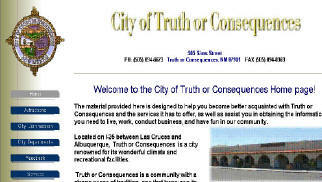 This is the website I developed for the city of Truth or Consequences. The site has information on city departments and services. 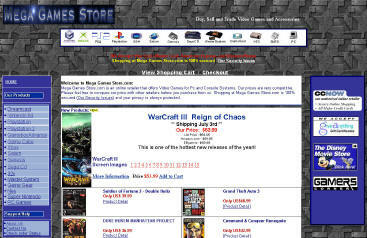 Mega Games Store.com is an online retailer for Pc and console games. Not only was this site developed by me, I am also the sole owner / operator for it. The site uses a custom database I developed to dynamically list inventory using active server pages. Annual sales for this site exceed $14,000 and are expected to double within the next year.